I love finding decorations that really make a party feel festive! Something that really makes the party atmosphere come to life! LLOP LED Light Up Balloons do just that. 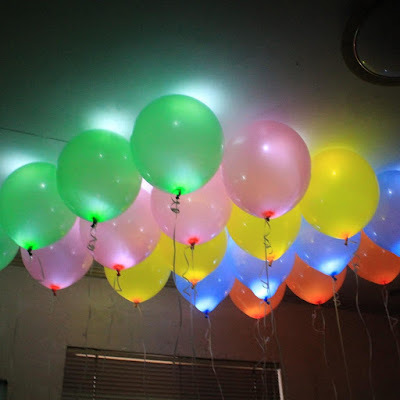 These LED balloons are easy to use. Each balloon has an LED light inside, just simply pull the tab and the light starts shining. Then inflate the balloon as you normally would, either with air or helium. These balloons have a high quality insulating film that ensures no leakage during transit, they are made from a thick high quality latex, and each light will shine up to 15 hours. They are suitable for any kind of party, birthday party, anniversary party, house party, patio party, even a dance club. They're great for holiday parties too, like Easter or Christmas.These balloons look really nice the darker the area is, you can really see the LED lights. 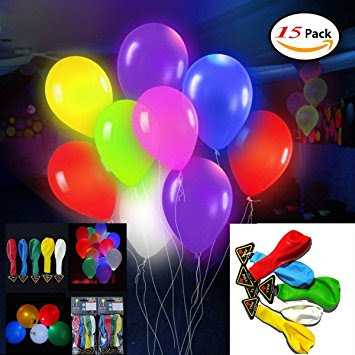 Each pack has 15 balloons, 5 different colors.